Administration Site Help Documentation Coach Administrator Licence AccessWhat is a Coach Administrator Licence and what can these users access on the Administration Site? A coach administrator licence provides access for coaches to the Administration Site which houses all users' account information, the roles and group structures. 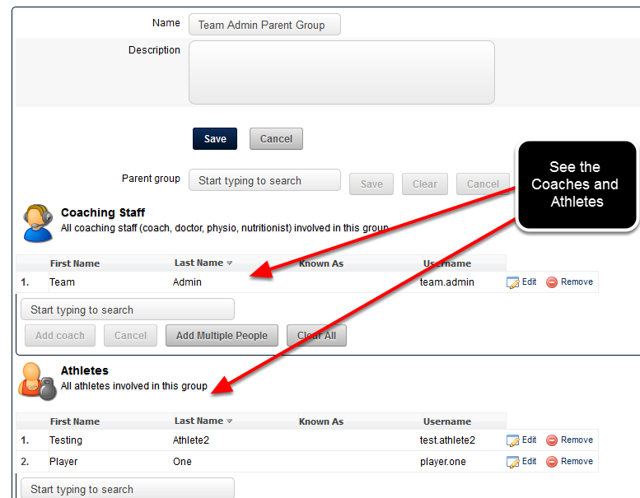 The coach-admin licence provides a way for an organisation to have separate sports and/or groups being tracked on one system, but for a coach or manager of each sport to only update/add players in groups that they have been given access to. More importantly, other athletes' and players' data cannot be accessed by a coach- admin. The coach-admin licence has reduced functionality. They can only add in new users, or update existing users that they have been given permission to access. 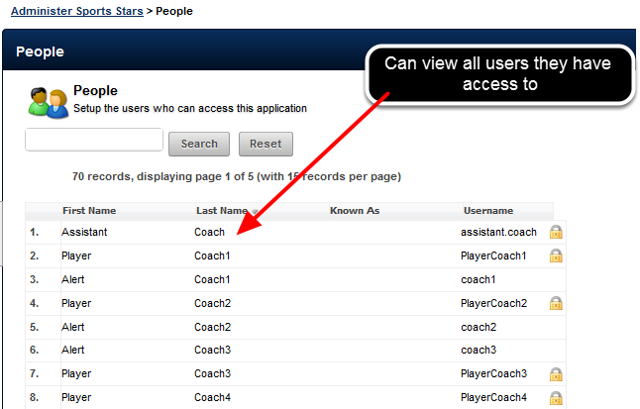 To prevent duplicates on the system, a Coach Admin can see all of the users on the system. However, they an ONLY edit and access the athletes that they have been given access to as an administrator. As you can see here, any user that they do not have access to appears with a lock; these locked user cannot be opened, viewed or edited from the People Page Module. They can create a new person using the "Create new Person" button. Before doing this they need to check that the user does not already exist on the system via the People Page Search. They can ONLY see the list of Roles that they have been access to as an administrator. If they are not an administrator of any roles, no roles will appear. -They cannot create new role, or edit update or amend of the existing role. -They cannot see a list of any of the users on each role. 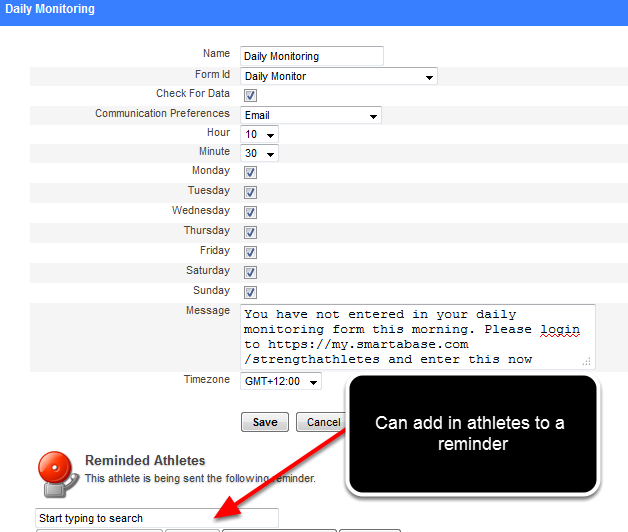 Because a Coach Admin needs to be able to act as the administrator for all of the users in that group, they can change and update e-mail addresses, dates of birth, address, phone number and addresses. 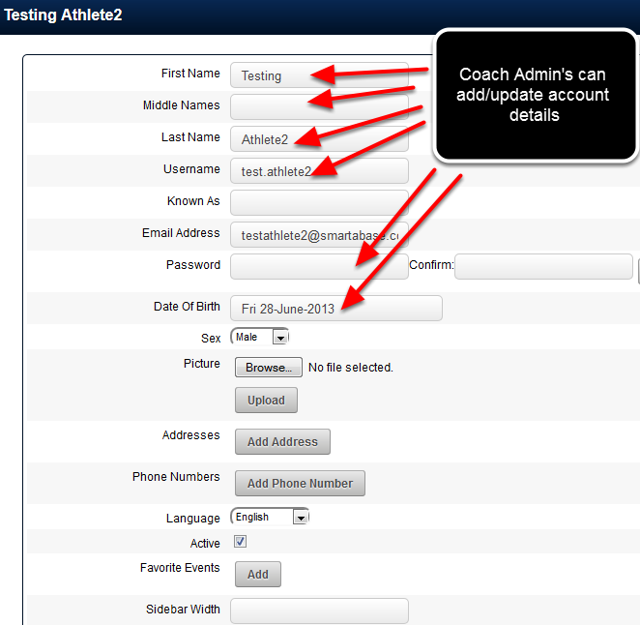 However, if one of the users is in a role that is locked, the Coach Admin cannot edit any of that user's account details and they will be logged of of the system if they try to access this. For more information see the lesson on "Role Locks".